DOROTHY burns it to the ground in "Wild Fire"
DOROTHY is a rock quartet hailing from Los Angles, California. 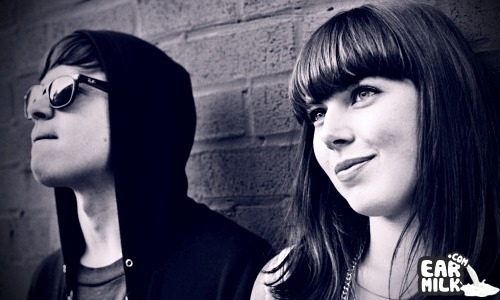 Named after their fiery front-woman, DOROTHY brings intensity and emotion ..
Sleigh Bells – "You Don't Get Me Twice"
With Bitter Rivals dropping October 8th, Sleigh Bells has released two new tracks off the album: the title track “Bitter Rivals” back .. This remix is very on point for such a sudden shift from genre to genre. Diplo, who is always on tour, still finds a way to hit the studio ..
For those of us hoping for a replica of Treats, the first album from the indie rock-pop duo Sleigh Bells, you are not in for a treat, per se, with ..
As previously reported, Sleigh Bells is planning on releasing Reign of Terror, the follow-up to their 2009 Treats, sometime this February ..
2010 marks the year Derek E. Miller and Alexis Krauss burst into the scene as the duo behind the Sleigh Bells outfit. As the group released ..